Cat Spraying Indoors - What to Do? Cat Spraying Indoors – What to Do? More than 40% of the complaints people have about their pet felines revolve around cat spraying indoors. This problem is also one of the main reasons cats end up in shelters where they are too frequently euthanized. Sadly, the problem can be alleviated using a combination of tactics. Cat spraying indoors involves the release of urine in parts of the home in order to mark the territory and to prevent invasion from other cats. Normally, un-neutered male cats are the worst offenders but any cat can be guilty of spraying. Essentially, cat spraying causes all involve your pet’s natural instinct to guard his area and to keep away other cats. The best way to eliminate cat spraying indoors or to prevent it from happening in the first place is to have the cat spayed or neutered very early on. Even if you have an older cat, sterilizing them can correct the problem. Nearly 90% of all male cats who were neutered at an older age stopped their spraying behaviors and most stopped right away. Cat spraying after neutering is reduced because the cat becomes less territorial. Cat spraying in house areas can also be stopped other ways. 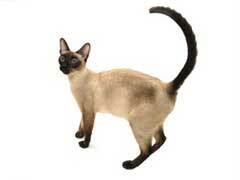 You can purchase pheromone sprays and apply them to areas where your cat normally marks territory. The pheromone will encourage him not to spray in that location. Mats that give mild static shocks when your cat touches them can also be placed in locations of cat spraying indoors to persuade him to avoid that part of the house. You can also help the situation by using a good cat spraying odor removal procedure. Cats spray in the same areas because the scent stays behind so you need to remove the smell using a cleaner that contains enzymes (enzymes destroy the cause of the odor) and applying a mixture of vinegar and water to the area. Cat spraying indoors can be a major problem for pet owners but by following a few steps the situation can usually be eliminated.